It’s a Bedford VAL series intercity coach – I understand they were quite common in the UK in the 1960’s and ‘70’s. My first impression was it looked exactly like something that came from the imagination of Gerry Anderson or his collaborator, Derek Meddings. It’s just a strikingly different design – with all sorts of interesting details to catch your attention. It was built in two series; the Model 14 produced from 1963 to 1966, and the Model 70 from ‘67 – ‘73. The main difference between the two was the powertrain; the Model 14 used a Leyland 0.400, while the Model 70 used Bedford’s own 466 cu in engine – both were six cylinder inline diesels. Obviously the twin-steer, tandem front axles stand out – their use allowed for smaller diameter, lighter wheels which resulted in a lower floor height. But just as striking are the large windows aligned side-by-side, making an extremely open and airy interior. As was typical in the UK during this period, various different coachwork manufacturers provided bodies that went over the basic chassis. This is an early Model 14 with a “Paramount” body by Plaxton – Plaxton provided a majority of the bodies through the 10 years of production. Custom bodies could also be specified…that looks like Jack Brabham in the middle of the three gents in the door. …next trip to the UK I’m definitely going to look one up. Always wondered what the 1967 Beatles Magical Mystery Tour bus was with the unique double steering axles. A Plaxton bodied 1959 Bedford Val Panaroma Elite. Was wondering if a CC would be written about this odd design. The huge glass area looks great. It’s now owned by the Hard Rock Cafe and went through a $100.000 dollar refurbishment. I would think keeping the 2 axles in alignment would have been a challenge. Alignment isnt an issue I drive an eight wheel truck twin steer bogie drive they are quite common here they are it bit different to steer at first but you soon get used to it. Do you know, Bryce what advantages this design has over conventional set ups? Possibly safer in a tire blow out situation, or maybe increased load carrying capacity? More stable tracking down the road? Increased steering angle for sharper turns in tight spaces? Would have to be more expensive to maintain come front suspension overhaul time. On trucks it gives better load distribution a larger turning circle less tyre wear and less load carrying capacity (higher tare weight)over a six wheel arrangement, also the 8 wheelers get stuck off road easier, They do drive ok though I’m in a 2011 Isuzu 400hp at the moment not too bad though its on steel springs, gets a bit bouncy crossing paddocks empty. It’s a combination of increasing the payload capacity of the vehicle and not exceeding the individual (legal) maximum axle loads. What has become common now, is that the second steering axle has moved further to the back. What you get then is one front axle and three rear axles, instead of two front axles and two rear axles. The reason the Val had two front axles was to allow for smaller wheels and tires which allowed for a lower floor, and therefore a lower overall height. One axle with that tire size couldn’t handle the load. I think 67Conti’s question is about twin steer axles in general, not about the VAL specifically. Thanks for the info, fellow CC’rs. Great looking buses. The tandem front axles and huge glass area give them a distinctive style – too bad we’ve never seen them in North America. Increasingly large glass areas were very much a feature of British coaches from the end of the ’50s onwards. Plaxton took the lead with the wide windowed ‘Panorama’, enshewing the curved toplights in favour of taller side windows combined with a flatter roof then as Duple was playing catch-up, in 1968 they introduced even taller curved glass for the ‘Panorama Elite’ range which set the style for most coaches in the UK (and quite a few continental ones) until the end of the 1970s. Are tandem steerable axles illegal in the USA? I don’t think I’ve ever seen a vehicle so equipped, whereas it seems it used to be (still is?) quite common in the UK and, to a lesser degree, on the continent. Tandem front axles common in western Canada particularly with large dual-axle trucks used in the oil patch. I’m going to assume they are also legal in the rest of the nation. My fellow Canucks elsewhere can confirm that. Tandem front axles are legal in the USA but are rarely seen because our axle loading and axle spacing rules don’t create the need. I’ve seen a photo of a late 70s Kenworth K100 cabover with a European style 4 axle layout for some sort of specialty application and a lot of mobile cranes have twin front axles. 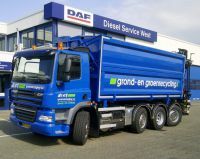 Truck practice in the US tends more towards adding an axle at the back, as seen on dump trucks and cement mixers in some states where they have an extra axle on a folding “stinger” that extends behind the truck when loaded. Nice! There is something I find highly attractive about this coach, but I can’t quite put my finger on it. I can’t believe nobody has mentioned “The Italian Job.” In the 1969 original, a 1964 Beford Val was converted for use as a car hauler(and disposer). The movie ended with the cast trapped in the bus as it teetered on the brink of falling off a cliff. As i was looking at the pics, I recalled that bus from the movie. Those 4 steerable front tires prompted the memory. They got quite the workout on that mountain road in the film. The ending was supposed to be a cliffhanger (hah! pun) for the unmade sequel. BMC, in a very shortsighted decision, refused to donate any cars for what can arguably be the iconic movie about the Mini. That was my first thought too, the original Italian Job. Never knew what that bus was, with its oddball twin front axle setup. Great movie but man oh man did that ending cause a WTF moment! Yes, the Bedford VAL is a very distinctive chassis. There are modern three axle coach chassis nowadays, but they all have the twin axles are to the rear. The 1st, 4th, 5th & 11th pictures are all Plaxton ‘Panorama’ bodies (‘Paramount’ was a 1980s Plaxton body). The 10th is Plaxton too, but probably an Embassy which had more window pillars (OK, that one doesn’t have many windows!). 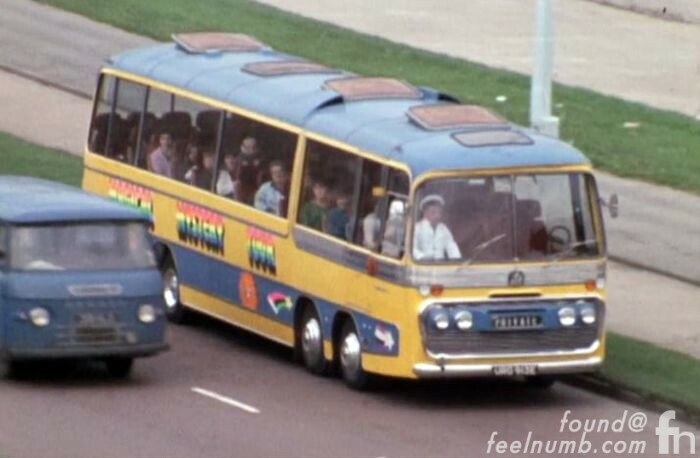 They’ve been in films too: the Beatles ‘Magical Mystery Tour’ coach was a VAL/Panorama combination while the Harrington Legionnaire though rare is famous for being the getaway coach rocking on the cliff-edge at the end of the original ‘The Italian Job’. Quite the bus and I got your comment about Gerry Anderson. The Bedford VAL does look like something you’d see in the old Thunderbirds, Supercar, Fireball XL5 and Stingray TV shows. Thanks for this Magical Mystery Bus Tour! Always loved these buses, even more so since seeing them in the movie. Obligatory pic of the MMT bus, a Bedford VAL Plaxton Panorama II OOR. Is this the bus most featured in British cinema other than the double deckers? The Panorama II* body was an additional variant (not a replacement) offered without the thick, ribbed chrome front waist trim but with sliding ventilator at the top of the windows, rather than the interior ventilation nozzles used in the Panorama I. 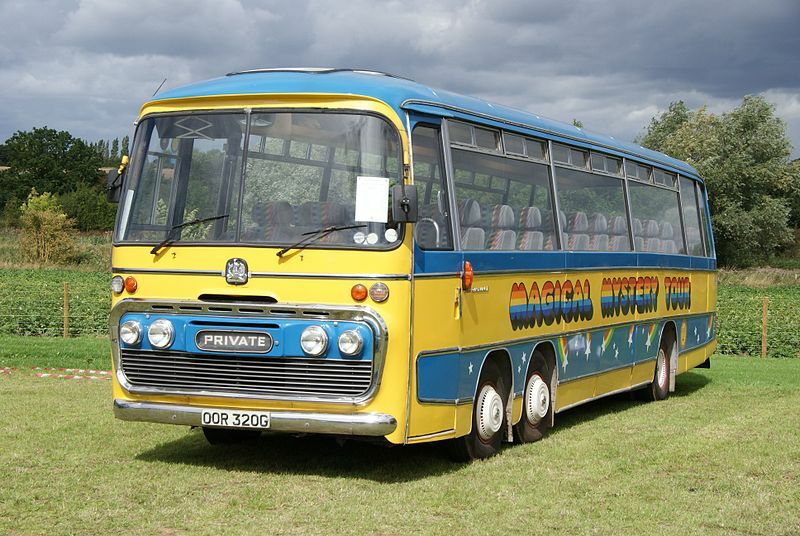 The original Magical Mystery Tour coach was a Panorama I but several similar VAL/Plaxton coaches have since been painted in the MMT colours, like the one above. The original version from the film is shown in the post by Philip below where the driver has the white outfit and hat. * The Panorama name was used for several successive Plaxton coach bodies from 1959-68 without clear demarcation (the I & II models, if anything, confuse the situation!). And nobody’s mentioned Magical Mystery Tour yet! No need to apologize of course, and what a great find it is ! I really like the color scheme on the coach in the first picture. Never saw one “in the metal”. 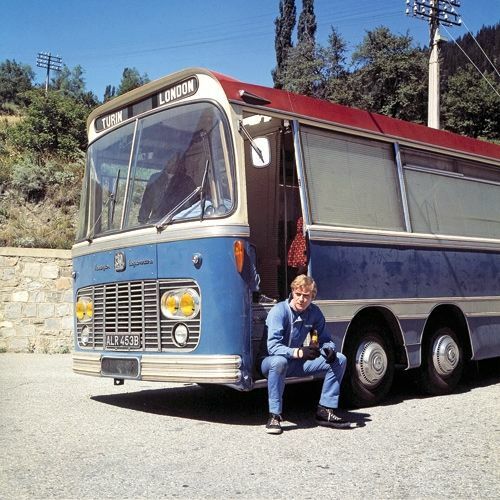 Back then most Euro-countries had their own independent bus and coach manufacturers. The starting point was a rolling chassis, supplied by a domestic or foreign truckmaker. Often these were small, long-standing, family-owned companies. Meanwhile they have all stopped, merged, been taken over or have just gone bankrupt. Plaxton is still going, though I think it’s the only major British coach builder left, even if it isn’t actually independent any more. The Bedford name was dropped way back in 1991. I saw the first pic. and instantly thought of ‘ The Italian Job ‘ as I’d seen it first run in a Movie Theatre way back when…. Neat bus! I always figured the one in Magical Mystery Tour was some psychedelic custom, though obviously I didn’t put any research or thought into that. Does anyone know or able to speculate why the tandem is in the front instead of the rear? Is there a mechanical advantage? Did you read the post? This is from it: Obviously the twin-steer, tandem front axles stand out – their use allowed for smaller diameter, lighter wheels which resulted in a lower floor height. The big front wheel housing/hump on buses, unless they’re high-floor types, are annoying, as they intrude substantially into the seating/leg room area. By using two small wheels/tires, it eliminates the intrusion. it takes two of these small wheel/tires to give adequate carrying capacity compared to on large one. This takes me back to 1971. 11 years old, fresh off the plane from New Guinea. We took a day tour from London. 46 years later, I don’t remember where we went. I still remember the “Panorama Elite” though. The twin steer was novel too. beautiful coaches, thanks for the post. I am waiting with baited breath to see one on the Neoplans and another on the Commers and others powered by the Rootes TS-3 engine. Great stuff. Memories here of school outings in Bedford VALs and other Plaxton Panoramas (perhaps the most common 1970s coach body in the UK). Your video choice is good too. Not only is Showbus the best bus show I have ever seen, but the operator whose VAL is featured, Kenzies, is still going strong and is based just a couple of miles from where I am now, and I have just driven past the garage featured. Kept looking harder on the video to see exactly where it was, and recognised most of the roads. Very beautiful buses–the huge windows and clean lines of the sides give it a mid-century sensibility, but the grille and lamp designs show a clear kinship to late 50’s early 60’s automotive designs. And it works together wonderfully with the twin front wheels. I can’t think of any buses on this side of the pond with the same type of design–our New Looks and Scenicoaches may be iconic but they’re far more staid-looking. 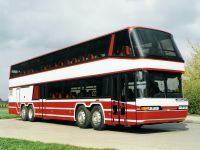 I am fairly sure that my father, Maurice Platt, came up with the unique design for a bus chassis with four steerable front wheels while he was Chief Engineer at Vauxhall in the 1960s. I remember him coming home from work, extremely enthusiastic, after the first test-drive. In his mind, the primary purpose of the design was that it greatly improved the ride. Recall, roads were not always as smooth, then, in the UK, as they are today. Three axles instead of two made a significant difference–or so he claimed. So why not put the two axles at the rear? He seemed to feel offended by the tire-scrubbing that would occur when going around corners. Appropriate geometry on the front axles enabled the wheels to roll without significant abrasion. 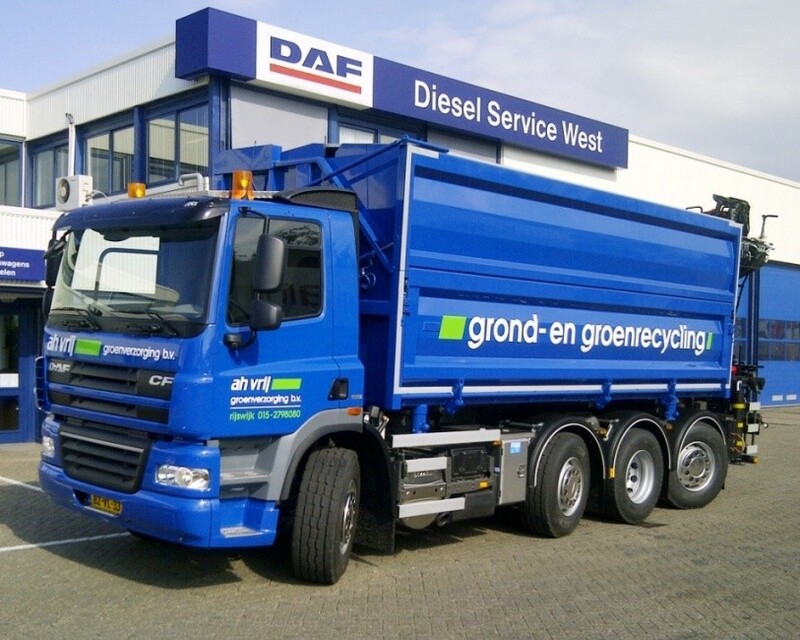 Today of course we often see trucks in Europe that have not two but three wheels inline at the rear. But these vehicles are presumably built to run primarily on divided highways without sharp curves. In the early 1960s, in the UK, such highways barely existed. It’s worth noting that the same layout of 2 steering axles in front and a single rear drive axle was common on trucks in the UK and Spain from the 50s to the late 70s/early 80s. The Spanish claimed the twin steering helped in the mountains and the British did it for some combination of axle loading and handling. 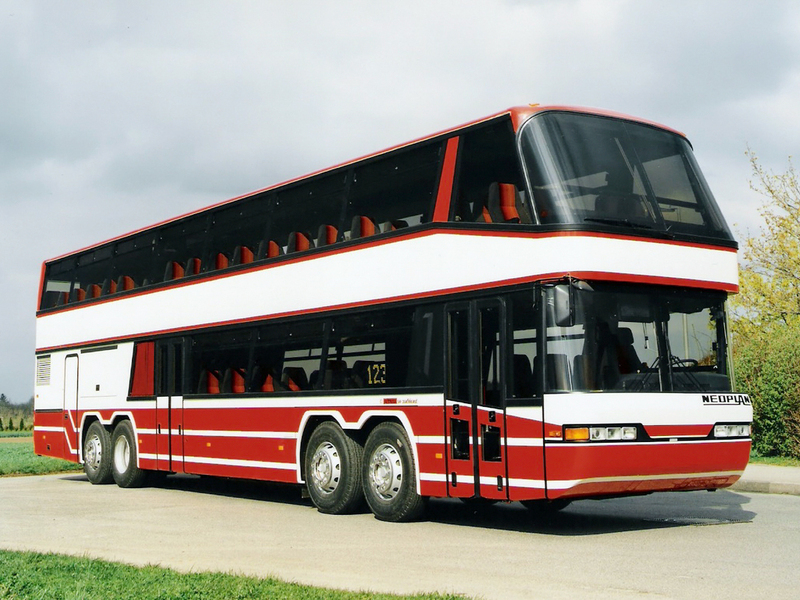 The VAL wasn’t the first bus chassis to have two steerable front axles. The Leyland Gnu and Panda were built in the late 1930s as derivatives of the Tiger. In the 1930s the maximum length for a two axle bus was 27ft 6in, three axles vehicles could be 30ft. VALs were seldom seen in the fleets of large stage carriage operators because they were not really designed for the intensive operations involved. North Western Road Car bought 10 in the mid Sixties to replace some elderly front-engined Bristol L5Gs on a route that had an extremely low bridge under a canal. None of the underfloor engined vehicles could fit under the bridge but the VAL could when fitted with a special body by Strachans that had a roof contoured to match the bridge. When the VALs wore out they were replaced by Bristol REs with a special ECW body that had a similarly contoured roof. Thank you for writing up the VAL story. What would have been the passenger seating capacity on the “Magical Mystery Tour” coach – the Bedford VAL Plaxton Panorama II OOR? The VAL must rank as one of the most Amazing and Beautiful Coaches built in that era. The Twin-Steer / Chinese six layout just added loads of ‘LOOK’ to the Coach. The Coaches massive glass areas certainly set This COACH Way out there in Luxury terms, and it Certainly spoke of ‘NOT’ being a common or garden ‘BUS’ ! The steering layout gave added security in steering cornering abilities, and also in case of tyre problems; Along with the smaller wheel diameters, these allowed lower floors, easier access and reduced cabin intrusion of the wheel arches. The downside came with Constant reported Poor service brake performance by Drivers,, this being put down directly due to to the Smaller Wheels of which also meaning smaller Brake Drums, Linings & widths of linings. There may have been an error in design calcs when matching service brake retardation to the Coach in-service weights with a full load of passengers, Fuel & luggage?? This also may have been a factor as to just what exactly Killed-Off The VAL Design in future years.. ( As an aside, just look what happened to the Italian Gold Carrier??..) Whatever though; One Truly Amazing Coach, and a Big Well-Done to All that keep such in preservation for the rest of us to continue to enjoy! Many of these were supplied with aftermarket retarders to compensate for the poor service brake performance. An unfortunate side effect of the low floor design was that the front mounted engine didn’t fit under the floor, it lived in a tall engine hump alongside the driver and was apparently very noisy. It’s important to remember these really were from a different era. The 466 while a reliable engine was only around 140 hp, non turbo meaning relatively sedate performance. VALs are extremely rare today. Coaches then were very lightly constructed from a wooden frame with aluminium panels, the wooden frame could and did rot out relatively quickly.